We carry a large product line of Carhartt high visibility clothing, flame resistant workwear, clothing and rain gear that meets safety standards. Oil, gas and electric utility workers have to wear protective flame resistant clothing by law, but Carhartt provides a full line of proven flame-resistant clothing that workers want to wear. Carhartt FR coats, sweatshirts, shirts, pants jeans, bibs and coveralls are designed to meet current industry safety standards. Known for durability and comfort as well as a great selection to choose from. Extreme working conditions require the very best. Carhartt FR clothing delivers and outworks them all bar none. 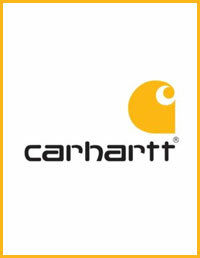 SafetySmartGear.com has an extensive collection of Carhartt's most popular products on our website. We also offer discount pricing on everything in the Carhartt Catalog. In addition to browsing the products found on our website we invite you to review this manufacturer's PDF Catalog and call us for easy ordering at always the lowest wholesale prices.